Finally A Book About Obama's Background? A new biography of ex-President Barack Obama is getting a lot of buzz. Here's some of the sneak peeks from Rising Star: The Making of Barack Obama by Pulitzer Prize-winning writer David Garrow. It sounds like after only 8 years of him being President, someone finally decided to do some actual research on the guy instead of relying on his ghost-written memoirs. Why the rush, guys? Moving around the globe, from Hawaii to Indonesia to the American Northeast and Midwest, Rising Star: The Making of Barack Obama meticulously unpacks Obama’s life, from his tumultuous upbringing in Honolulu and Jakarta, to his formative time as a community organizer on Chicago’s South Side, working in some of the roughest neighborhoods, to Cambridge, where he excelled at Harvard Law School, and finally back to Chicago, where he pursued his political destiny. In voluminous detail, drawn from more than 1,000 interviews and encyclopedic documentary research, Garrow reveals as never before the ambition, the dreams, and the all-too-human struggles of an iconic president in a sure to be news-making biography that will stand as the most authoritative account of Obama’s pre-presidential life for decades to come. It could be an interesting read if you are curious about Barack Obama's pre-Presidency years. Seeing as it is from HarperCollins, I have no doubt that it will still be full of glowing praise for Obama, but there might be actual facts between the lines. 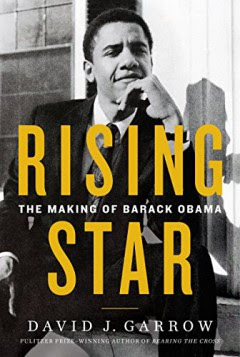 Rising Star: The Making of Barack Obama is available for pre-order and will be officially released on May 9th. 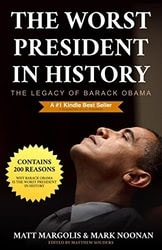 Now if you want a well-researched and documented history of Barack Obama's presidency instead, I highly recommend the best-selling and encyclopedic The Worst President in History: The Legacy of Barack Obama. I'm having a problem with the claim that he "excelled" in Harvard Law School. There's zero evidence of any such thing, unless you count him being running the journal, while not writing anything for it. Good catch. Funny how US citizens get unmasked left and right by the CIA but Obama's transcripts are STILL top-secret.